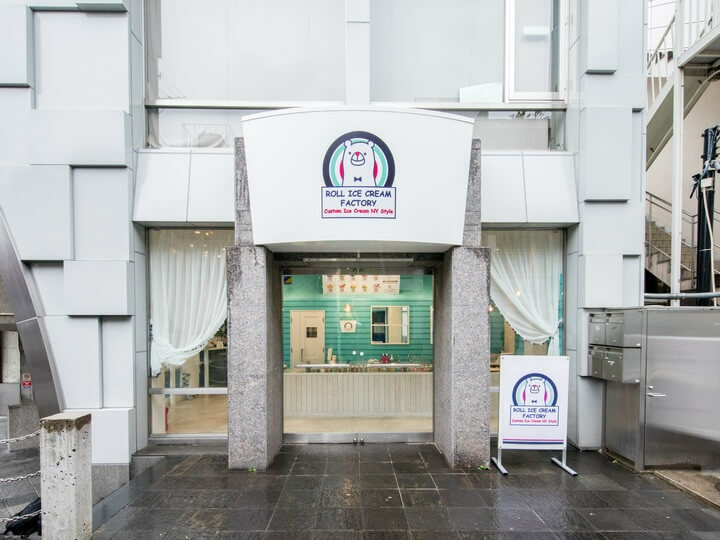 The store opened as the first customizable roll ice cream specialized store in Japan and is famous for being extreme popularity. Many people line up to buy their ice creams. 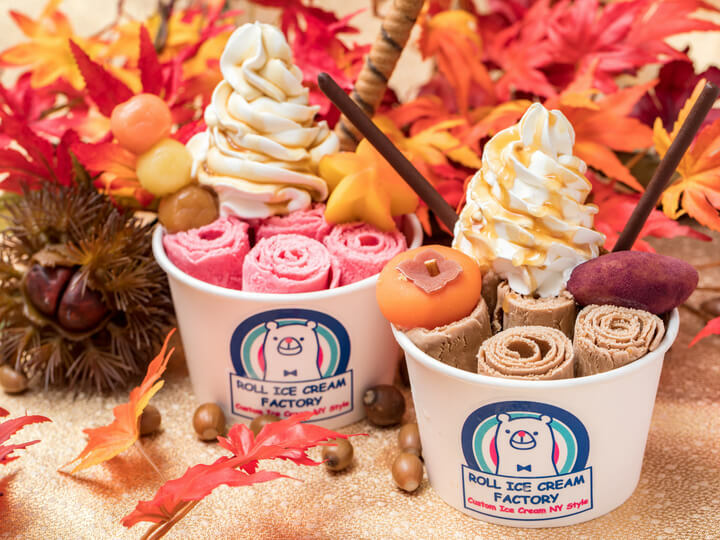 It is an original brand of cold plate ice cream served in the NY style. Roll ice cream was originally created in Thailand. 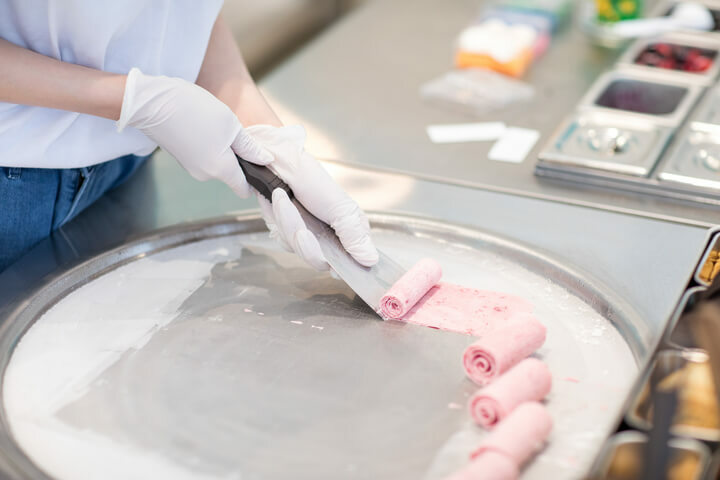 Roll ice cream is made in front of the customers on a cold plate (lower than -10 degrees). You can choose the ice cream, desserts and fruits you want eat. 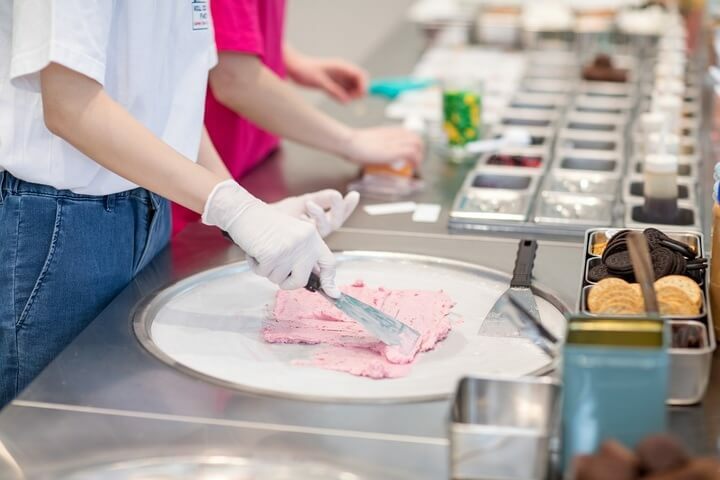 It is really fun to watch the staff of the store making the ice cream by rolling up the ice cream along with various sweets and fruit on the cold plate. 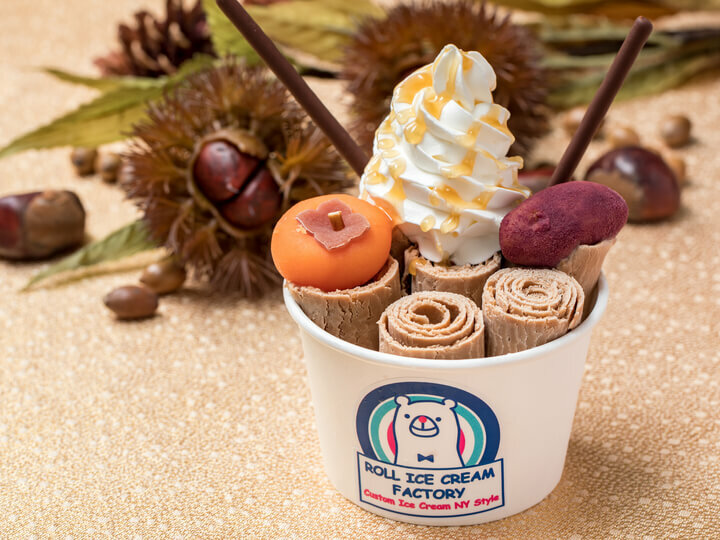 You can customize your own ice cream by choosing from the regular flavors (4 kinds), season flavors (2 kinds), mix-ins (20 kinds) and toppings (40 kinds). 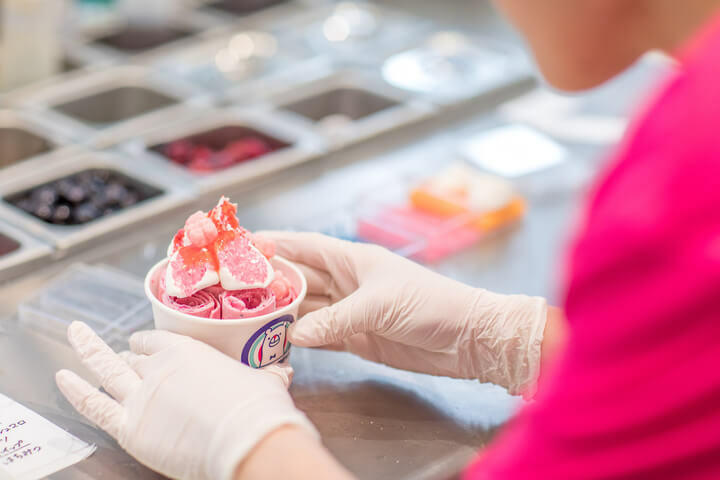 The variation of the flavors and toppings is countless. 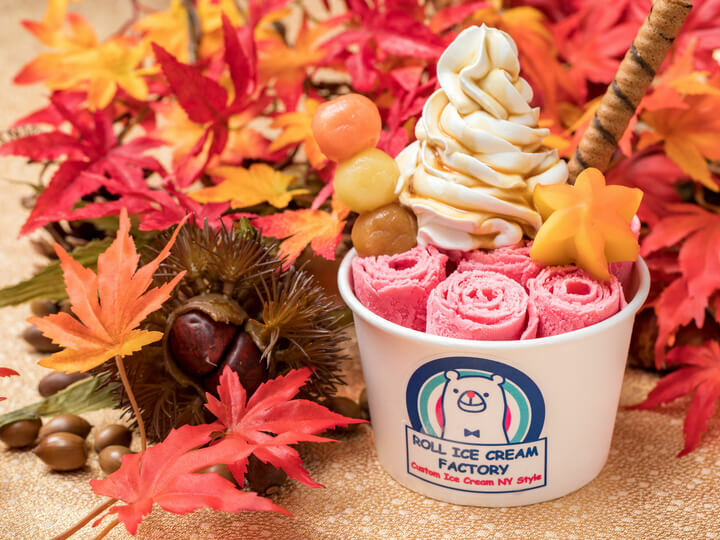 It is possible to create your own photogenic ice cream and thus the ice cream is popular among women who want to upload photos of ice creams on their Instagram. 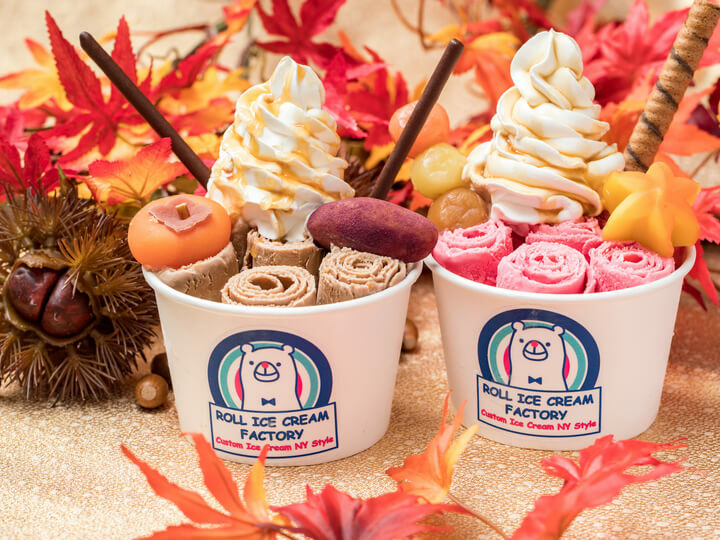 Additionally, they will be offering Marron” and “Raspberry Milk” as new flavors (limited time offer) starting on November 30th. The topping is imaged of autumn colors. 2 kinds of limited menus will be sold.